Earlier this year, the San Diego Business Journal reported TuSimple is expanding its autonomous truck fleet from 11 to 40 nationally. The company secured its permit from the California Department of Motor Vehicles just two years ago. While Fortune 100 companies fuel the demand for these self-driving trucks, the risk of a semi-truck accident is on the rise in California, Arizona, and other parts of the country. The company, however, has said forward-facing cameras provide visibility of up to 3,281 feet, and believes a safe perception range is 300 to 500 meters at 65 miles per hour (per a Transport Topics article). All trucks have a backup driver who can take control at any time. But at The Law Offices of Jacob Emrani, we see several cons to using self-driving trucks. Braking: Weighing as much as 80,000 pounds, a semi-truck takes several seconds longer to stop than a regular car. A tractor trailer also requires hundreds of feet more stopping distance. Slick road conditions and heavy loads make matters worse. An autonomous system must be working perfectly to ensure the brakes respond to changes in road conditions. If not, the vehicle may collide with other cars and causing injury and death to other motorists. 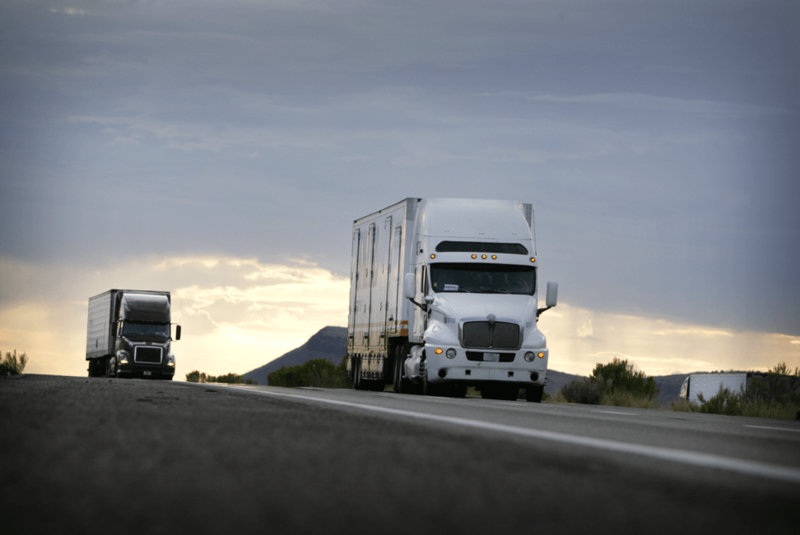 Driver Awareness: Driver fatigue is already a leading cause of truck accidents. A Los Angeles personal injury attorney will possibly see several cases every year, as up to 100,000 accidents are linked to dozing truck drivers. If a driver has been on the road for 15 hours or more (11 hours is the legal limit, with sufficient rest), or are under the influence of drugs or alcohol, they may not respond if the autonomous system doesn’t function properly. Security: Hacking and other criminal activity can compromise an autonomous truck. If someone accesses the software controlling the vehicle, there’s a risk they can take over the controls and potentially cause a fatal accident. There is a danger even if a driver is overseeing truck operation from inside. Hackers therefore pose a danger to other motorists and truck drivers. Who Do You Sue? : Legislators have not passed laws to allow driverless trucks. There’s also no legal precedent to deal with lawsuits. Who do you file a claim against for damage, injury, or death caused by a self-driving truck? Is the trucker, manufacturer, or software provider liable? For any lawsuit to proceed, there must be someone at fault for the accident that caused an injury or death. Fleets of driverless trucks present other risks as well. Some fear many of the 3.5 million truckers in the U.S. could lose their jobs as autonomous technologies advance and become more popular. Trucking companies that resist these technologies may become less competitive and be forced out of business. Therefore, the trucking industry is under a lot of pressure. But autonomous technology still has its downsides. For example, it is not reliable in poor weather conditions. If you or a loved one are injured or worse by a self-driving truck, our attorneys will apply their legal knowledge to hold whoever is at-fault liable. The Law Offices of Jacob Emrani is the leader in truck and car accident law in California. For a free case evaluation at your home or office, and for help reaching a fair settlement, contact our attorneys in Los Angeles and Orange County at 888-952-2952 or fill out our online form today.